Aside from adopting a healthier lifestyle, one of the most effective ways to prevent health issues is scheduling annual vaccinations. Montgomery Medical Clinic, a local provider of vaccinations and immunizations in Gaithersburg, MD, is your vaccination partner. In fact, you can rely on us to provide the necessary shots you and your family need through every stage of life. Flu Shots—It’s true that the influenza strain changes each year, but receiving an annual influenza vaccination will reduce your risk of contracting the flu and spending several weeks in misery. Pneumonia Vaccinations—Yearly pneumonia shots are vital for people who are 65 years of age and older, as well as people with heart, lung, or immune disorders. Meningitis Vaccinations—This immunization is typically recommended for college students, soldiers, and people living in close living quarters. As a parent, your child’s safety is of great import. You take special measures to protect him or her while riding in the car, to prevent a baby from falling down the steps, and more. Did you know that one of the easiest and most effective ways to protect your little one is ensuring your children receive children’s vaccinations and boosters? 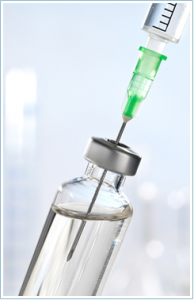 Like vaccinations for kids, the flu immunization has been a controversial topic recently. Put simply, the influenza shots are currently your best tool to protect yourself against influenza. While the effectiveness of the flu prevention vaccine varies from person to person, CDC researchers have found that it reduces a person’s risk of contracting the flu and experiencing serious complications by about 60%. Our staff is committed to influenza prevention. That’s why we offer free flu shots to patients. Schedule your visit today to protect yourself and those you love from influenza. There are so many things to do before you travel, but you’re certain you’ve handled all the necessary arrangements. You’ve packed your bags, obtained an updated passport, made arrangements for your pets, and requested that your mail be held until you return. Many travelers remember to schedule their travel immunizations. You’re probably wondering why you need to get vaccines before a vacation. Think about it. More than one million people travel internationally each day. In many countries, diseases that are preventable in the US are rampant. Without vaccinations, these diseases would spread far and wide, causing worldwide epidemics. Travel immunizations from our clinic can protect you from contracting a vaccine-preventable disease.